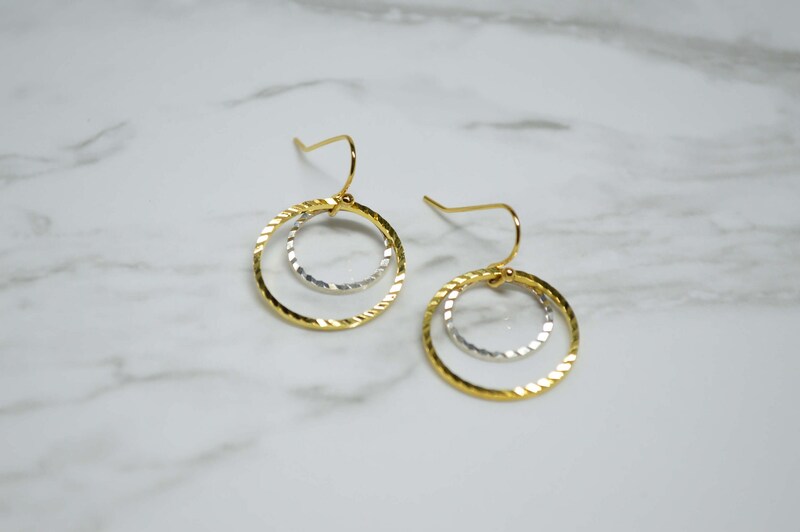 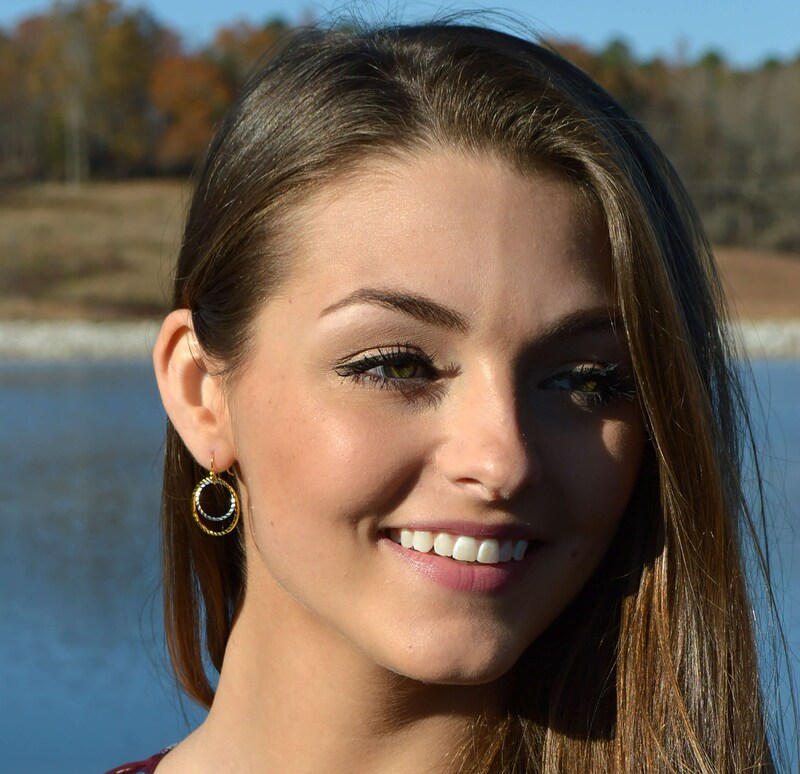 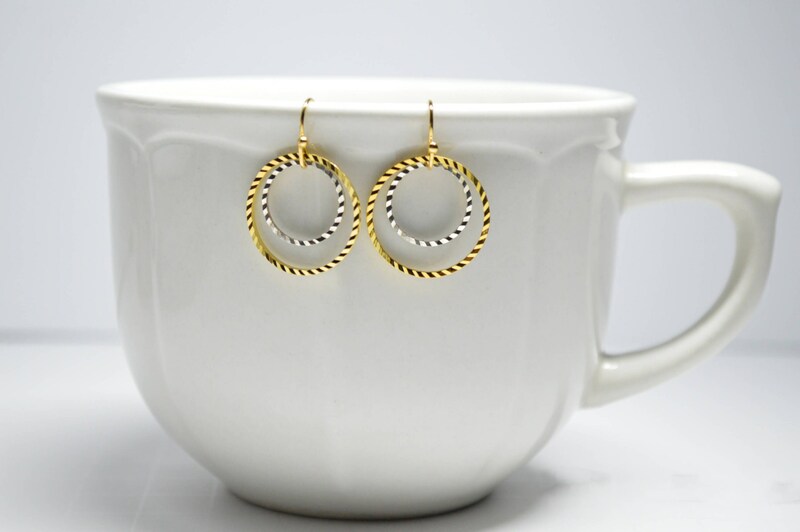 These gold and silver double hoop earrings feature a silver diamond cut hoop inside a gold diamond cut hoop and finished with a stylish gold earwire with a decorative ball design. 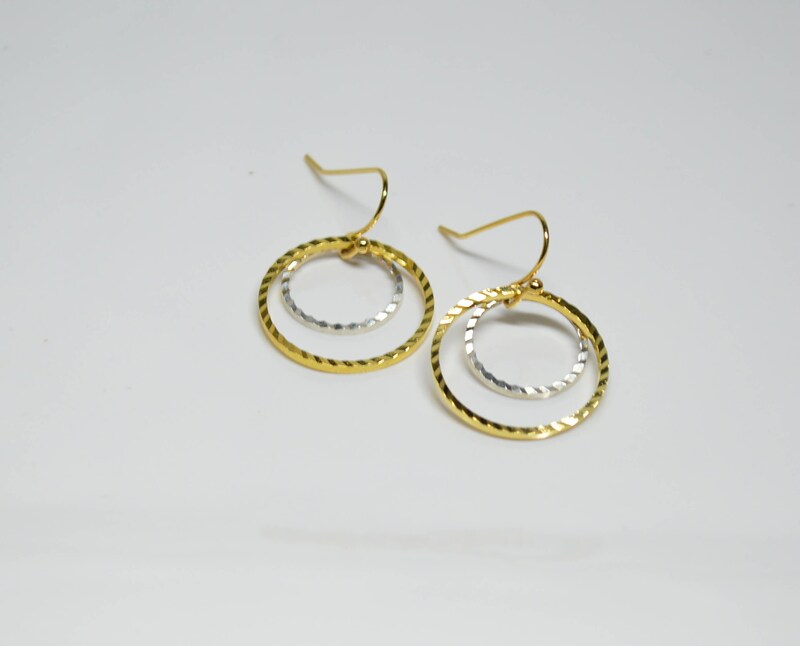 These elegant drop earrings move freely and shine brightly. 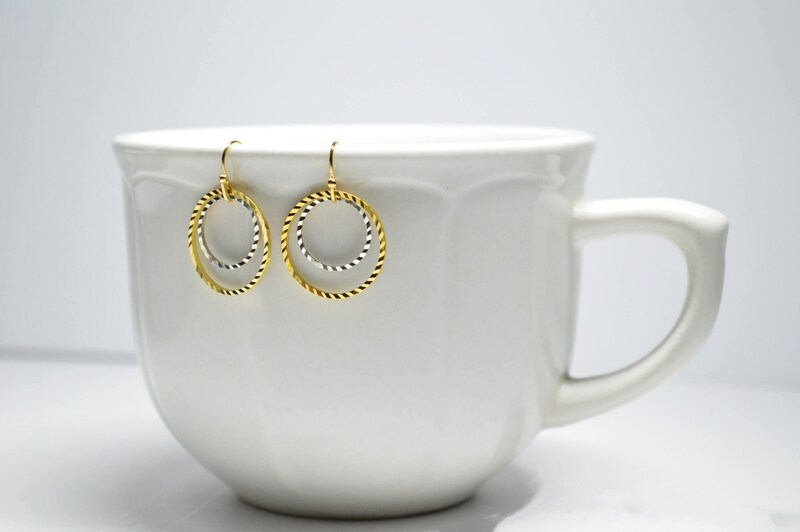 Your new earrings include rubber earring backs for a no worry, secure fit!